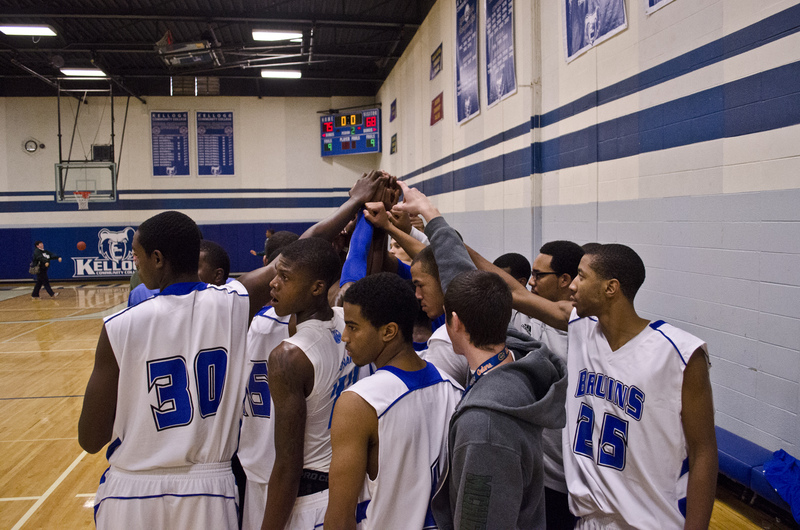 Kellogg Community College’s 2015-16 men’s basketball schedule is available now and includes a dozen home games, the first of which will begin at 7 p.m. Friday, Nov. 20, against the Siena Heights JV team. The Bruins’ full schedule for the 2015-16 season, which begins with a scrimmage in Chicago on Oct. 24, is embedded below and is also available online at www.kellogg.edu/athletics/mens-basketball/schedule. Admission to all of KCC’s home games for all of the College’s sports teams is free, and all home KCC basketball games are played at KCC’s Miller Gym, on campus at 450 North Ave., Battle Creek. For more information about KCC’s men’s basketball team, visit www.kellogg.edu/mens-basketball or contact Head Coach Ben Reed at mbbcoach@kellogg.edu. Sign up to receive KCC Athletics results by email following each game by visiting www.kellogg.edu/mens-basketball and filling out the “Get KCC Athletics Results by Email” form with your name and email address!